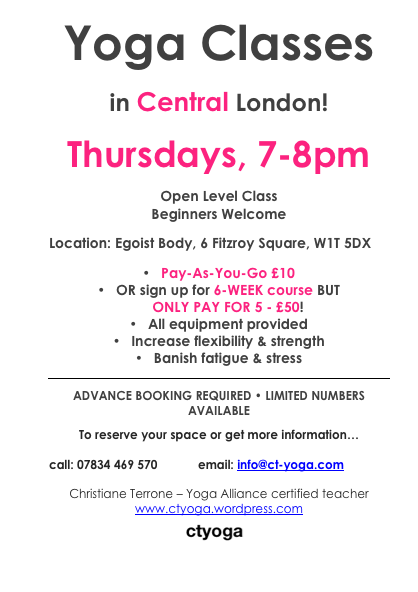 Ok so, not ONLY is it almost the wkend…BUT i’ll be teaching tonight at Egoist Body, 6 Fitzroy Square, W1T 5DX, from 7-8pm…if you’re in the area come on down – drop-ins are a £10er – can’t go wrong for an hr of goodness! I’ve got some new music and some new warm up exercises! Can’t wait!